The Attract Round Set would make the most perfect of gifts, it's a real classic piece of jewellery. 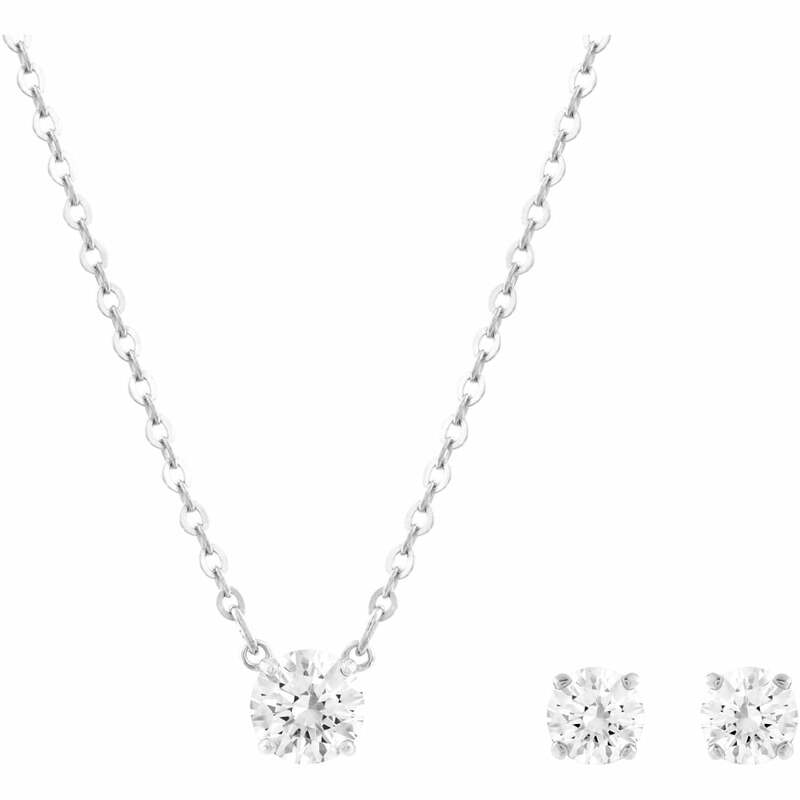 Included is a rhodium-plated pendant on a chain and a pair of pierced stud earrings. This elegant and classic pendant is a must-have!